A big part of the Ganttic planning experience is the possibility to create an almost endless amount of different views. Views of your projects; views where tasks are colored by projects; views where tasks are colored by their own colors; views where resources are grouped by different labels etc. As an administrator, you can choose whether the view you created will be displayed to everyone on your team or just you. Views created by simple users are private by default. And Carl, the view of you always petting the cat is not private. So please, set the cat free, would you? While managing your resources, viewing can come in handy when you need to inspect schedules and plans made. 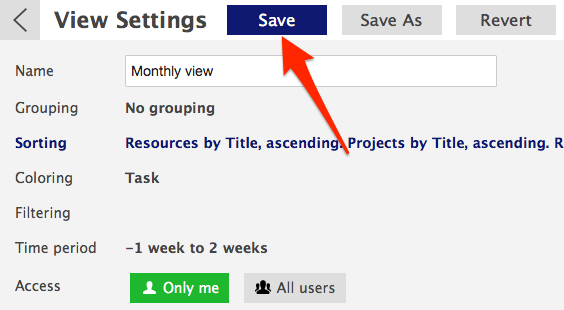 Customize and save views by combining resource grouping, tasks coloring, filtering and time period settings. This allows you and your team to view projects and schedules for different uses at any time. Save views lets you return to a customized environment when the need arises. 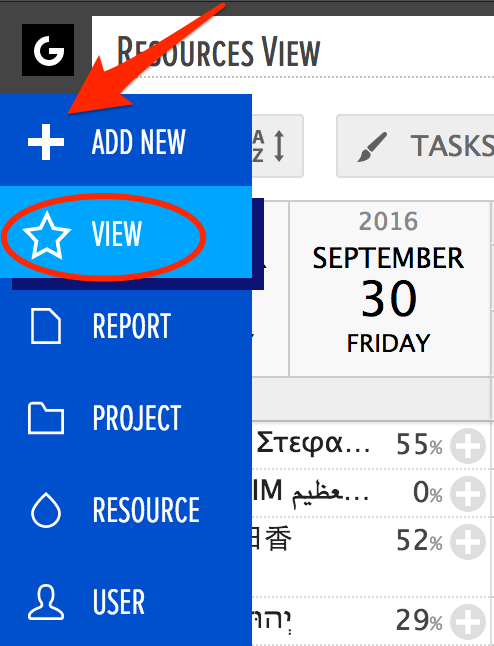 By creating customized views you can get an overview of your projects, resources, tasks etc by custom criteria. Switching between different custom views/tabs helps you to plan faster while avoiding setting different parameters for the same view all over again. This will activate the adding feature. Click on 'Save' upon completion.View Settings will be closed. Users with admin rights can choose if whether they want to save a view as a public or private. All views created by regular users are private by default. Private views can only be viewed by the user who created it. Public views are visible to everyone. You can edit the grouping, sorting, coloring, filters, and default time period). Go back to View Settings to save these parameters to the view. This will open the View List. You can open or delete them in the list view. You can do this by clicking on the column titles. You can open or delete several of them at once if you wish. Did not find the answer to your question regarding custom views? Can Resource Planning Software be Both - Easy to Use and Flexible?